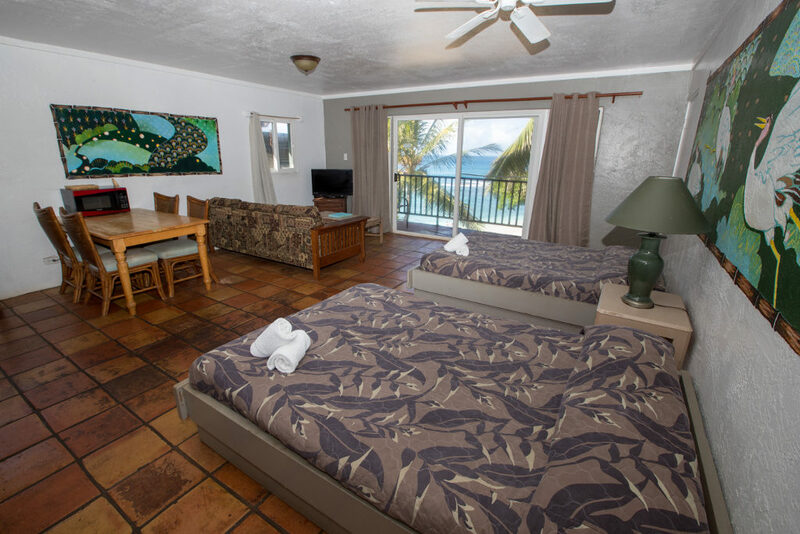 The Beach Building is located right smack on Pupukea Beach Marine Sanctuary or as the locals call it “Three Tables Beach.” Three Tables has some of the best diving and snorkeling on the Island during the Summer months (May – Sept.). 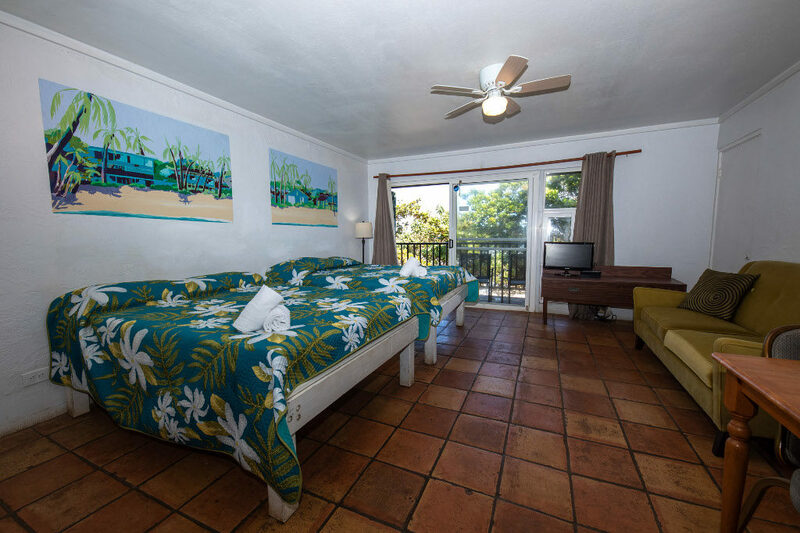 The Beach Building is conveniently located within a 5 minutes walk from 2 world famous beaches. 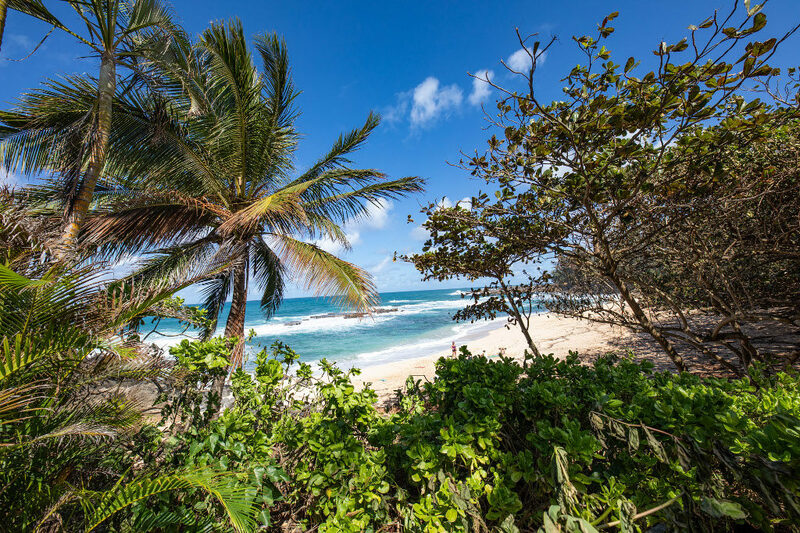 Waimea Bay is a very short walk down the road and offers visitors cliff jumping, bouldering on the beach, a waterfall and in the winter season world class surfing! Sharks’ Cove, located on the other side of the Beach Building offers amazing scuba diving (for beginners and advanced divers), free diving and amazing snorkeling (and perfectly safe from sharks BTW). The Beach Building consists of private studios. 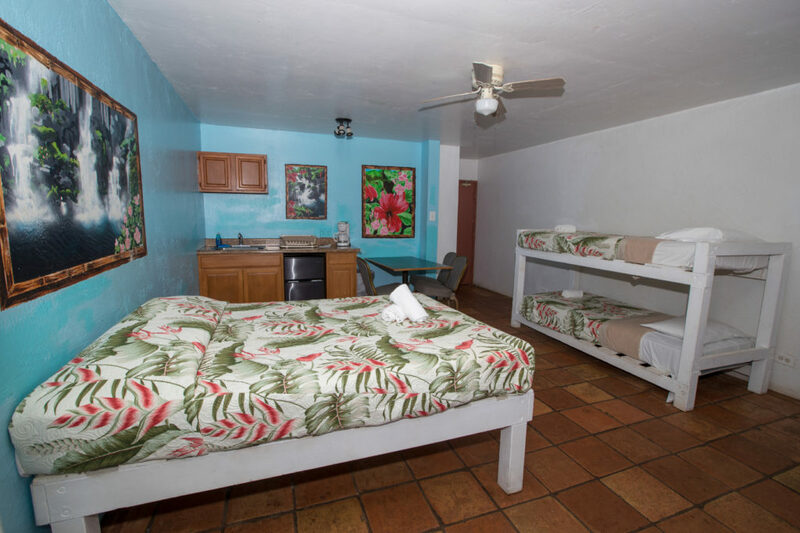 Rooms come with a combination of double beds, single beds, and twin beds, and some with bunk beds in unique combinations, perfectly suited for many types of travelers. Each unit has a bathroom, fridge and sink including plates, cutlery, etc. All you need is a beach towel and suntan lotion. 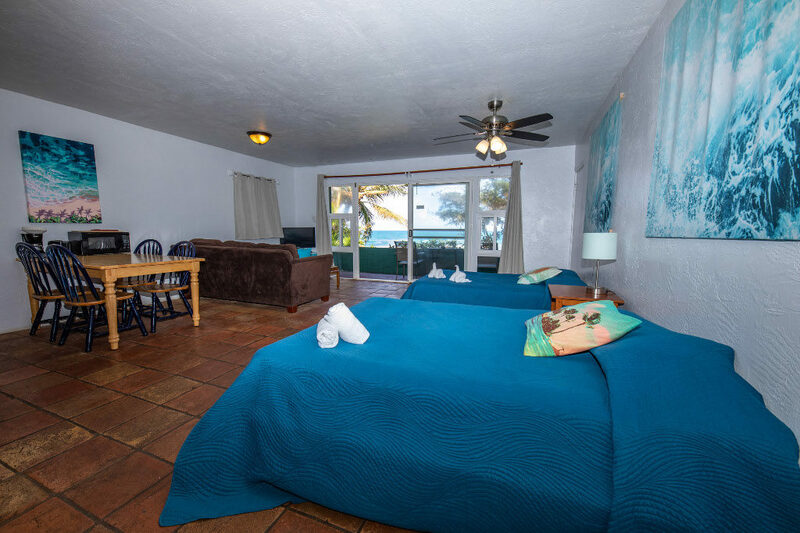 The studios all have Cable TV and either a balcony or a patio that overlooks the ocean. Large Private Studio comes with private bathroom and full kitchen. Sleeps up to 4. The rate for this cabin is $160 per night, plus taxes. 10% off when you stay 7 nights (one week). Standard Studio comes with private bathrooms and a wet bar. The rate for this cabin is $140 per night, plus taxes.